As part of our ‘The Chef & The Scientist’ campaign Kitchen Theory are committed to sharing our findings and research with the public, our intention is to raise awareness towards and inspire the growing interest in multisensory perception and crossmodalism in gastronomy. 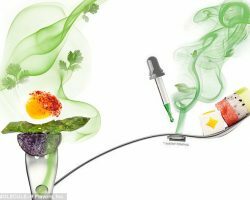 This new science of the table – the study of the everything else, the study of off-the-plate dining, has been coined as ‘Gastrophysics’. The term was coined by Professor Charles Spence, head of Oxford University’s Cross Modal Laboratory and Kitchen Theory Director. Gastrophysics is the combination of gastronomy and psychophysics – gastronomy being the knowledge and understanding of all that relates to man as he eats, and psychophysics being the branch of psychology that deals with the relations between physical stimuli and mental phenomena. 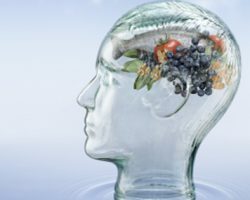 Those researching gastrophysics are inspired by the neuroscience, but are much more interested in studying people’s real-world food behaviours. Ultimately this research has the ability to give us a greater understanding of the relationship we have with food and the food choices we make on a day to day basis, that may be beneficial for our health and the environment. Over the course of the next few pages of this article we aim to demystify this term by looking at the science and practical applications which exist in the food industry as well as taking a look at how these ideas are being put into practice by some of the worlds most forward thinking chefs. So if that has whet your appetite in some way, read on to the next page to understand a broader definition of Gastrophysics. Wow! I just happened upon flavourjournal.biomedcentral.com and I am now fascinated with the field of gastrophysics!!! !